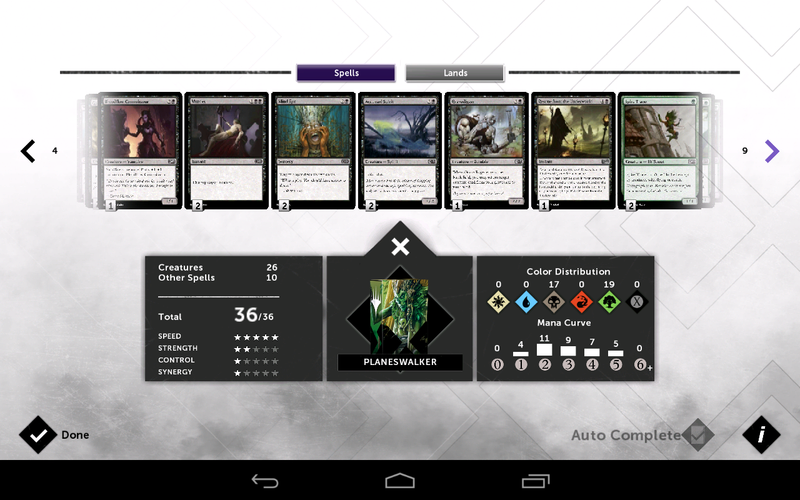 The perennial trading card game from Wizards of the Coast made its Android debut last year, and it seems that the developers intend to give it regular updates, just like the PC version. Magic 2015 includes an expanded collection of cards that match the physical card game, though you'll have to shell out quite a lot of cash for the full set - not unlike the real-world counterpart. 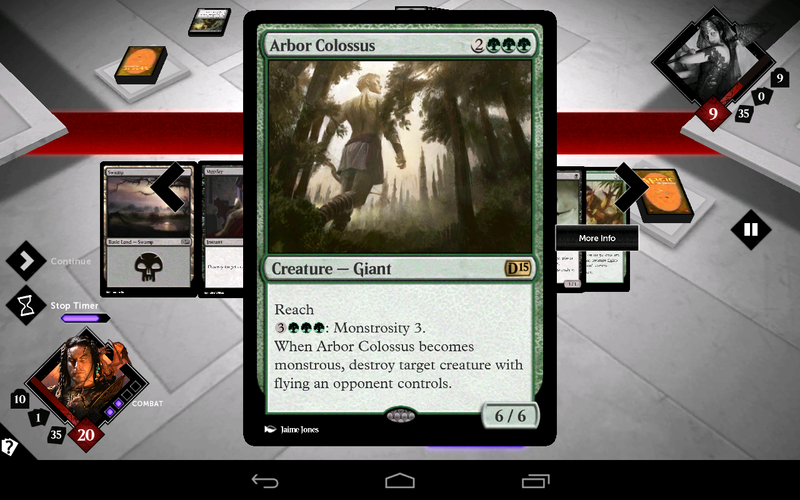 Magic 2015 is a free download, but you'll need at least 1.2GB of free space to hold it. If you're familiar with the card game, you know what to expect: two players battle by laying down lands, collecting manna, summoning creatures, and casting spells. You attack the other player's life points with your critters and use them to defend your own, with spell cards throwing the occasional unpredictable curveball into battle. 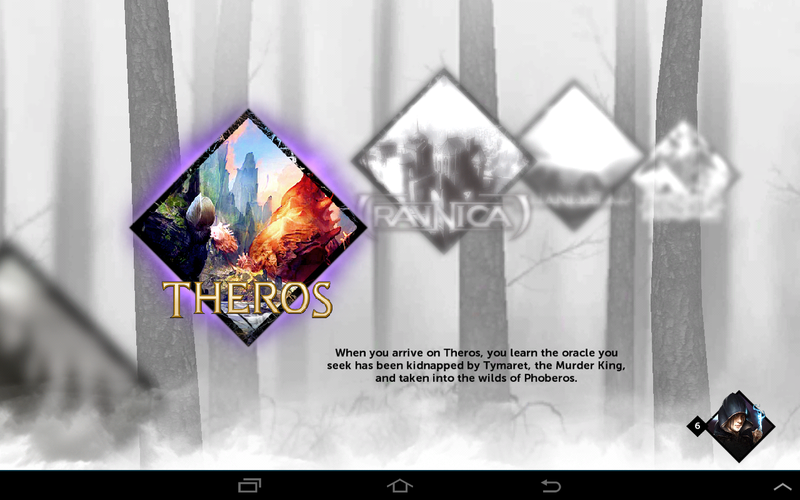 The 2015 game has updated graphics and menus that are a universal white theme, thankfully relieving some of the chromatic craziness of the last edition. The Android version has full online multiplayer built-in from the start, this time using Google Play Games - online multiplayer was the only real omission last year. 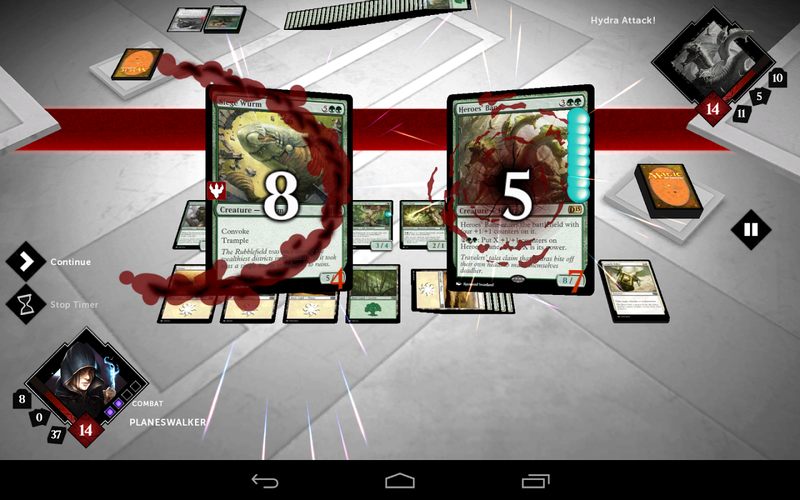 While Magic 2015 is still a heavy game, it seems to be running quite well on my G Pad 8.3 Google Play Edition. If you want the "full" game, you'll have to shell out. 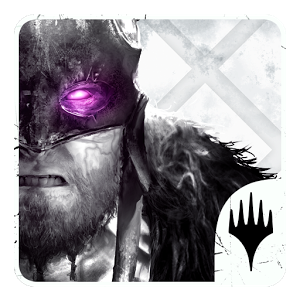 The complete unlock for all the base cards and extra collections, plus a full campaign, is a whopping $34.99. You can get the rest of the game in bits and pieces, but that's the best value (believe it or not). While it's possible to unlock most of this content through the campaign mode, it will take you a lot of time, and you'll have to make excellent use of the full deck builder to augment the rather weak starter decks. Free or paid players will both need to try their luck at the $2 booster packs to get the full set. That's a lot of time and/or money to spend on a game, but in the developer's defense, it's exactly the same price as the iPad and Steam versions.